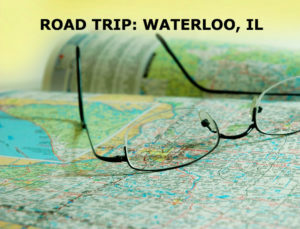 The history of charming Waterloo, Illinois, dates back to the 1780’s, when settlers dubbed the area Bellfontaine. As the settlement grew, so did rivalries among families and the town was divided into two parts—Peterstown to the north of the creek and Bellefontaine to the south. Then in 1818, according to legend, an Irishman named Charles Carroll boldly built his house on one side of the creek and his barn on the other and offered both sides their “Waterloo.” The name stuck. German settlers came in the following years and many of the buildings still remaining in town reflect their heritage. Waterloo recently celebrated its 125th anniversary. The downtown district, which was placed on the National Register of Historic Places in 1978, is a great place to explore. It’s even more enjoyable when you combine a town visit with a stay at the Senator Rickert Residence B&B located there. Waterloo has several interesting museums, including the History Museum of Monroe County, which has permanent displays and changing exhibits covering a span of eras. The Bellefontaine House was the site of the town’s original settlement. Peterstown House was once a coach stop of the Kaskaskia Trail. There are several local gift shops and nice restaurants. The Bean Tree Cafe is a good lunch spot, offering sandwiches, salads and burgers. J. Fires Market Bistro is popular for dinner, serving a menu that draws from local growers. There are also two notable breweries: Stubborn German Brewing Company, known for its brewmaster; and Hopskeller, which also serves food. You’ll get a great feel for the historic town when you stay at Senator Rickert Residence B&B. The Victorian home has charming gingerbread touches throughout, with a mix of period antiques and three guest rooms with private baths. Open Saturday-Sunday, mid-April to mid-December, 1:00 – 4:00 p.m.
Monday – Friday, 6:30 a.m. – 2:30 p.m.: Saturday – Sunday, 7:30 a.m. – 2:30 p.m.
Wednesday – Thursday, 5:00 p.m. – 9:00 p.m.; Friday – Saturday, 5:00 p.m. – 10:00 p.m.; Sunday, 10:00 a.m. – 8:00 p.m.
Tuesday – Thursday, 4:30 p.m. – 10:00 p.m.; Friday, 3:00 p.m. – 10:00 p.m.; Saturday, 11:00 p.m. – 10:00 p.m.; Sunday, 12:00 p.m. – 6:00 p.m.
Monday – Tuesday, 4:00 p.m. – 11:00 p.m.; Wednesday – Thursday, 4:00 p.m. – 1:00 a.m.; Friday, 2:00 p.m. – 1:00 a.m.; Saturday, 11:00 a.m. – 1:00 a.m.; Sunday, 11:00 a.m. – 9:00 p.m. Senator Rickert Residence B&B is a member of the Illinois Bed and Breakfast Association … a unique lodging experience! 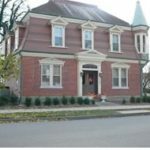 This entry was posted in History, Illinois Bed and Breakfasts, Illinois town of interest and tagged History, Illinois B&B's, Illinois towns by admin. Bookmark the permalink.